Nelson Ashipala believes in living a life filled with adventure, passion and experiments. 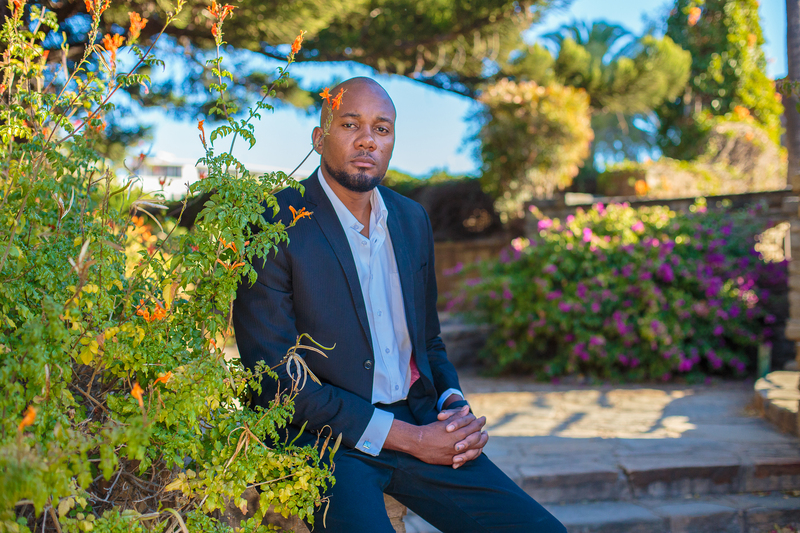 A senior Communications Specialist at the Namibian statistics agency, he has also taken up Farming as a side hustle which employs a team of 20 people. He believes in playing a role to contribute towards nation building. Read the rest of this young leader’s thoughts on how he manages a thriving career, side hustle and his extreme adventures below. 1. What are some of the highs and lows you have encountered in your career up to this point? Every person goes through highs and lows and I think the ultimate effort is in how we overcome these different stages in our lives. My biggest low was perhaps when I immediately graduated from university. For someone to go to university and end up being unemployed, it felt like a huge blow. The high was obviously getting that dream job. 2. There is no doubt climbing up the corporate ladder in any field requires consistent hard work, tell us something new that has contributed to your growth in your career? Perseverance and drawing out your life’s plans and ambitions. I do not believe that we were put on this earth to simply exist, we were placed on earth to add value. I drew out my career path and strategically laid out SMART goals. Strange thing is, I feel I still have a lot to do. I believe in life and destiny. 3. What in your view contributes to stagnated career growth and what changes can be implemented to achieve career success? It is caused by a lack of passion and drive in one’s work life. When one is passionate about what they do, they will push to acquire all the necessary skills and knowledge. And as you might know, these are some of the fundamentals that assist in career growth. No one should ever sell themselves short in terms of career. If one feels however that they are not doing what they love, then they are in the wrong profession. 4. Some millennials in corporate jobs today feel “they are not making an impact in their careers” which often leads to people quitting their jobs & starting their own businesses or furthering their studies full time (which is a good thing of course). What in your opinion should corporate companies start doing to get millennials passionate and invested in their careers? Corporates should learn to entrust the youth. For as much as there is less trust in individuals because of their age (which should not be the case) we can all learn from what we do not know. All new age successes are coming from millennial including technology and design. For as much as we hate to admit it, it is our time. However, it is not wrong to move into private business. I am heading on that route too. 5. Job security is very important in Africa, you have got a farm which currently employs 20 staff (Well Done!!). How did you get into farming business and how do you manage your full-time job and your farming business all at once? Farming has been a passion of mine. I remember growing up, my mother would always compliment how I have a good hand because my trees always grew and produced tasty mangoes. When the business opportunity presented itself, I took on the opportunity and task. It was not an easy decision to make as it involved lots of risks, but together with the team of brilliant minds, the start was made easy. It was made easier knowing that we are contributing to building the nation. 6. What self talk do you give yourself before making any big presentation to management or just a few minutes before being called in for an interview? I give a little prayer for strength and then I tell myself I did not come this far to fail. 7. Having a healthy body and mind contributes to having a fulfilling career because burnout is real, how do you ensure you are equipped to manage your job and your side hustle? I am an adrenaline junky. My body aches for anything beyond and have recently taken up extreme sky diving. The idea is to go as deep as possible below the earth’s surface and as high as possible above the skies. I am an avid globe trotter and love meeting new people, learning new cultures and falling in love with the beauty of the world. I am also into my final master class for scuba diving. With this skill, I plan on diving at all places around the world with the goal of diving at the shortest time possible each time I get a chance. Most importantly, I am very religious. I try to make as much time as possible to pray and remind myself of how far God has brought me into my life, the strength he has given me to endure all of life’s hardships. 8. What is the one thing you believe other people think is crazy and why is that so? That one cannot just wake up and be what they want to be, I suddenly want to be a helicopter pilot, and this is my plan for next year.